Have you ever wondered what mermaids do to get fit? Maybe you’ve met a mermaid in the pool and longed to learn the secret behind her graceful moves. 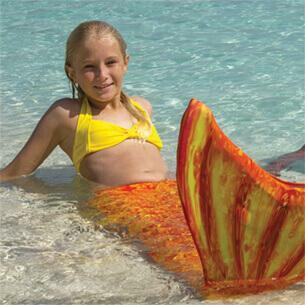 Maybe you’ve watched mermaids from afar as they swam through the water and even flipped their tails in the air. 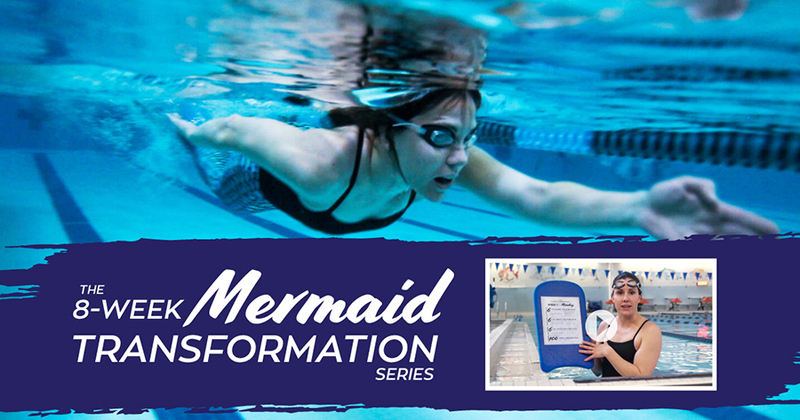 Fin Fun’s exclusive 8-week Mermaid Transformation Series is designed to help you get into the water with confidence and eventually transform your body into a stronger mermaid version of itself! Before you get started, check out our Mermaid Tail Ready video to ensure you’ll swim safely and be prepared to pursue our workout program. Ready to get started? Watch our introductory video to learn what our transformation series is all about! 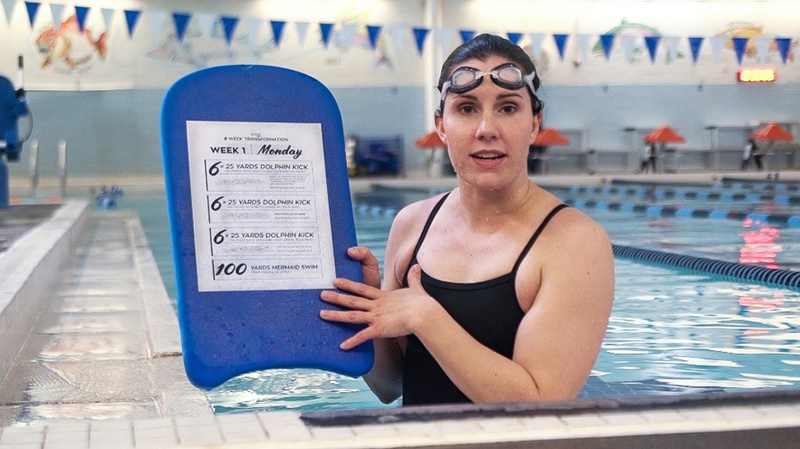 Throughout our video series, you’ll see our resident swim expert Christine Dustin explain and demonstrate the necessary steps to perform these water workouts over the course of 8 weeks. You will learn specific mermaid moves like the dolphin kick, a crucial move that anyone who wants to swim like a mermaid should know! 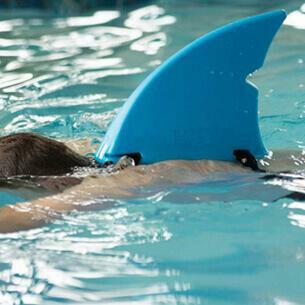 With practice, you’ll be swimming just like a REAL mermaid! 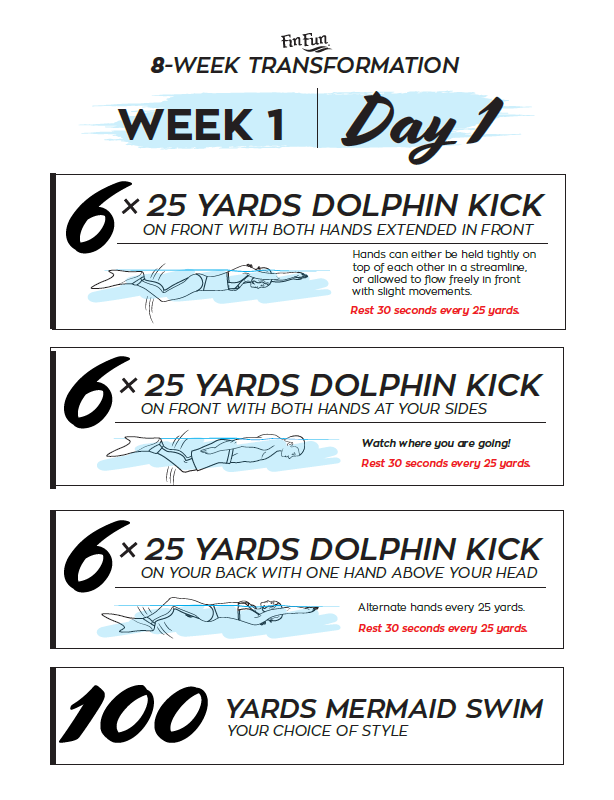 Fin Fun’s mermaid workouts include 8 weeks of printable sheets you can take with you to the pool to help guide you through the exercises you’ll be performing each day. Each week contains 3 days of workouts—so it’s a good idea to plan early which days you want to hit the pool. You can see a sample of a one-day workout below. Here’s a tip for keeping track of your paper during swimming: get the paper wet so it adheres to a kickboard or put it inside of a large Ziploc bag to keep it dry. Discover the training material here. Do you think you have what it takes to transform into the mermaid of your dreams? You’ll never know until you try. Get started on your first week of workouts now by watching our Week One video and printing out the corresponding worksheets. 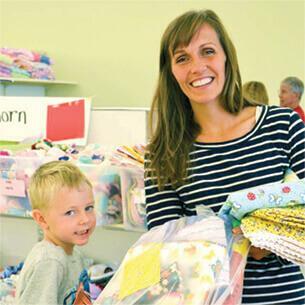 We’d love to hear about your experience with our program. Comment below to tell us what you think! Don’t forget to share our mermaid workouts on social media so you can encourage your friends to join you in the pool! 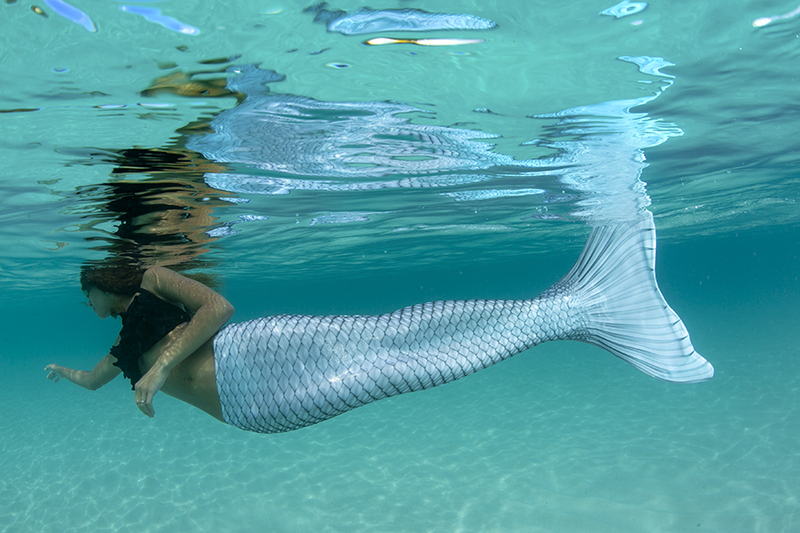 Who knows—maybe you’ll even create your own mermaid pod after mastering these moves! We have quite a few Mermaid U locations in California. 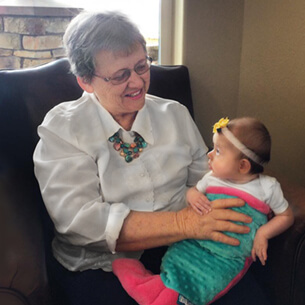 You can check out our Mermaid Class Locator to view class locations near you! I tried clicking the link but i get a 404…how can i get a hold of the workout cards? We have updated the link!